We are excited and extremely proud to announce the new website launch for the awesome folks & great photographers of Richmond’s own PhotoOps. This is by far our most aggressive and feature packed use of WordPress to date. PhotoOps is a brand new company that has a unique twist on how to help people find the right photographer at the right price. Our solution for them had to make it easy to feature powerful photography and highlight the talent and skills of each photographer within a clean and simple design. One of our proudest elements is the powerful, custom built WordPress Gallery Plugin that displays large, full-size photographs that scale to any device or screensize, shows photograph & photographer details, exif data & custom meta fields and provides a toolbar for enhanced user control of the slideshow. 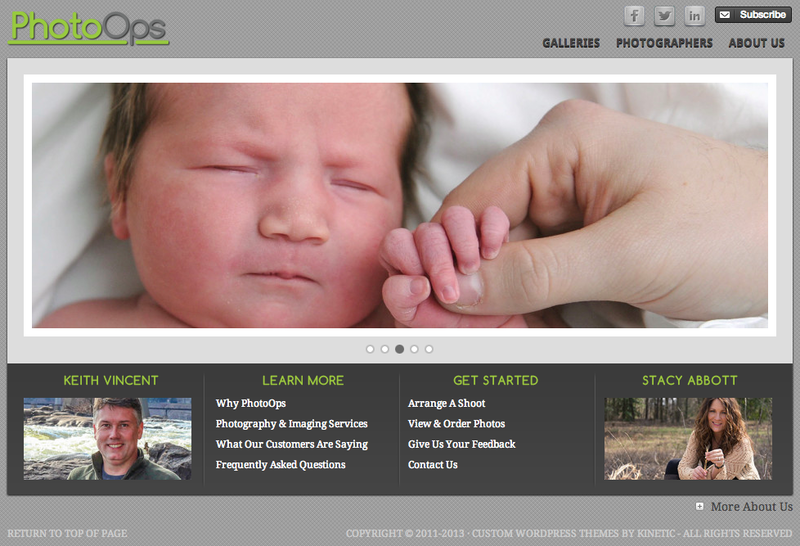 Check out PhotoOps.com to find the best photographers in Richmond whatever your budget may be.